The comparator shown here has five surface-ground specimens with Ra ranging from 0.4 µm through 12.5 µm. Each patch shows the maximum allowed roughness for a surface whose hardness is to be tested by a particular probe/instrument system. 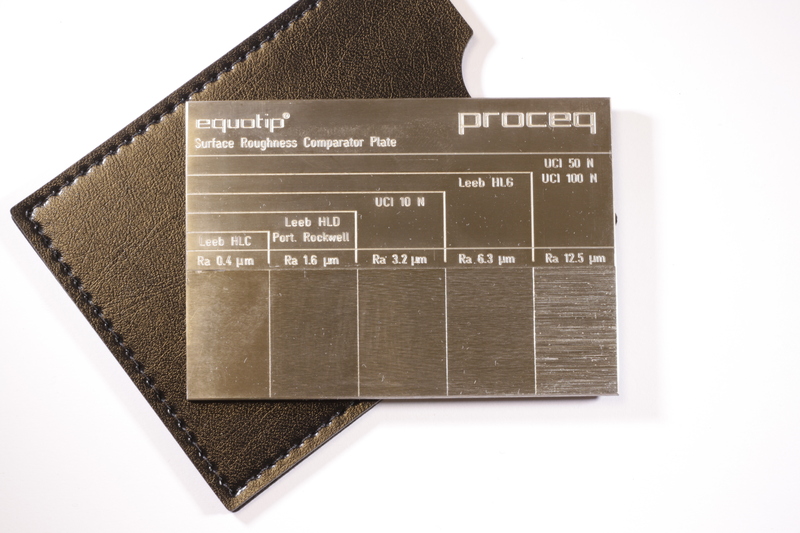 It was made for the Swiss instrument manufacturer Proceq SA.